We are going to have an event whose aim is to help you experience different cultures, language, nationality and sense of values with food and music. 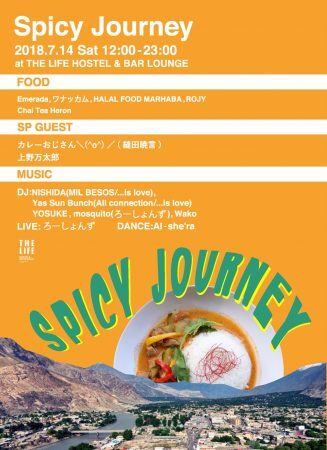 We are also going to provide you with special curry that is a joint production of Curry-Ojisan and THE LIFE HOSTEL. What’s more, we will invite DJs and dancers who are active in Fukuoka, who will present an exotic wonderful performance. Don’t miss this one night only ‘SPICY LIFE’ experience! 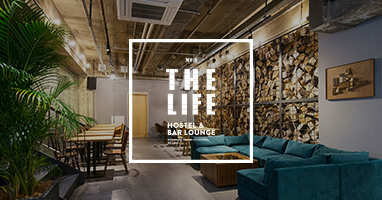 On March 3 2018, The Life Hostel will be welcoming guest baristas who would be presenting a series of workshops, coffee cupping and talk sessions! These events would be held for the very first time at our hostel. 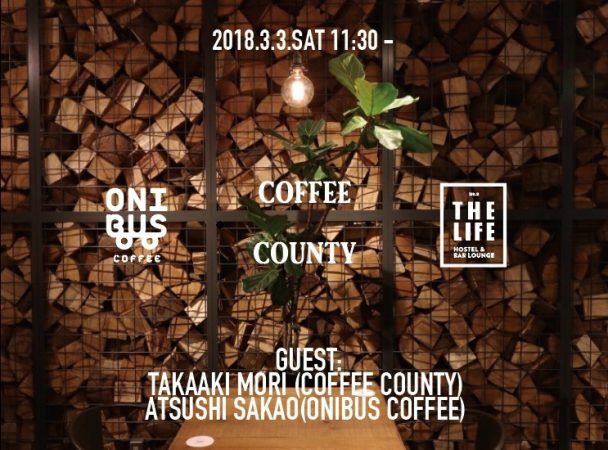 This event hopes to introduce these two guest baristas who are leading experts in Fukuoka and Tokyo coffee culture. 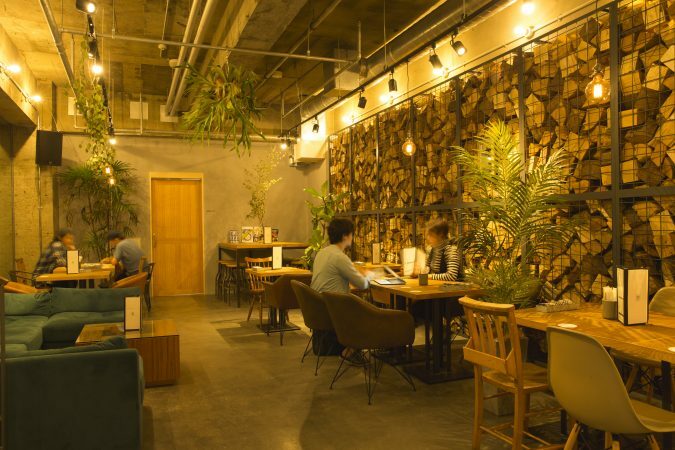 We believe this session to be the first of it’s kind and are looking forward to hearing about the varied coffee styles of Fukuoka & Tokyo, culture, production and roasting to name a few. We are pleased to hold this introductory event at a hostel, a space where many people come together to interact. Please note that advanced registration is required for workshops and sessions. For interested parties, kindly send an email to the below address with your name, contact information and event of choice. Please address all further enquiries to Yamanaka of THE LIFE HOSTEL. How about spending relaxed time here with a cup of coffee and good meals? Today and yesterday was snowing in Hakata, Fukuoka. It’s kinda freezing, be careful not to caught a cold. It’s still cold outside but we are waiting for your visit with hot drinks and heartwarming moments. Thank you to all the visitors that came to our hostel last year. 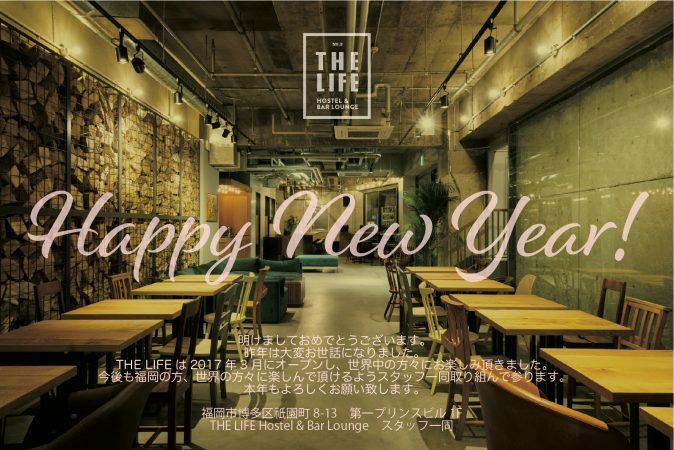 The Life Hostel & Bar Lounge opened in March 2017. Guests from all over the world stayed with us as well as many local visitors to our bar lounge. We are looking forward to hosting guests from all over the world and of course local people again this year. Our official web site RENEWAL! !